The Short Version: With strong moral leadership, the Online Dating Association (ODA) supports transparency, fairness, and honesty in dating websites in the UK and around the world. Since 2013, the organization has upheld a groundbreaking Code of Practice for dating services looking to operate above-board businesses. Today, ODA’s membership includes top names in the dating industry, including eHarmony, Match, and The Dating Lab, who unite behind the ODA’s ethical standards. Such leading brands become ODA members to assert their commitment to maintaining a trustworthy and efficient platform for singles everywhere. 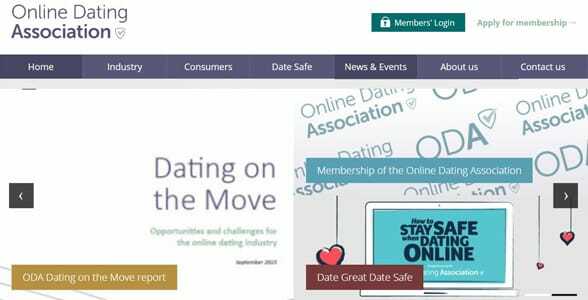 The Online Dating Association’s policy recommendations and complaint arbitration helps members build trust with consumers, so singles can join upstanding dating platforms with confidence and security. Thirteen dating site providers in the UK came together in 2013 to raise the caliber of services in online dating. These leading voices in the industry outlined specific ethical behaviors that a reputable dating site should maintain and committed to sticking to that code in their own businesses. It was a simple pledge to improve the quality of the dating experience in their own corner of the internet. Today, the Online Dating Association (ODA) includes many top dating brands promising to stand for honesty and integrity in all their dating services. From niche dating websites to broad-based dating apps, the ODA’s membership includes businesses big and small. Representing the best in the industry, the organization raises the standard of what consumers can expect from dating websites and apps. At industry briefings, focus groups, and conferences, the ODA invites a dialogue among key stakeholders and up-and-coming businesses about what can be done to improve online dating for singles everywhere. These popular ODA events speak to the growing influence the organization has on developing the dating services of the future. 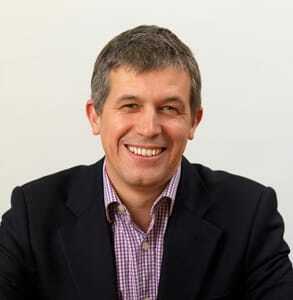 Andrew McClelland, CEO of the Online Dating Association, keeps an eye on how digital trends can best serve consumers. Andrew came to the ODA in October 2016 from a background in digital commerce and retail. He feels passionately about giving consumers helpful, informative, and trustworthy online tools. This digital advocate highlights the ways technology can unite and empower people of all ages. The cornerstone of the Online Dating Association is its Code of Practice. The code is a brief overview of the way an ethical dating site should act. This way, providers can compare their policies against a set benchmark. The sections cover general rules, honest and clear marketing, user protection, meeting user needs, and protecting data and privacy online. The ODA screens members before and after they join to discourage misleading marketing ploys and unsavory sales tactics in the dating industry. Additionally, ODA staff receives the complaints against members and monitors the brand’s progress in addressing the issue and reaching a satisfactory conclusion. The organization’s Adjudication Panel is entrusted with sanctioning members in the case of code breaches. The panel acts as the final arbiters on complaints that can’t be resolved between individuals and the brand. In addition to helping businesses flourish and build trust with customers, the ODA has taken steps to educate the public about the growing industry. The organization provides security information to empower singles to stay safe and raise overall consumer confidence in online dating. On the website, readers can find advice on everything from how to create an honest profile to when to meet a date prospect in person. The ODA’s online dating safety tips can help readers understand how to date safely online. The post outlines important safety measures to employ as well as red flags to look out for when chatting on a dating site. The ODA is a comprehensive informational resource in the online dating industry. Whether you’re a single unsure how to date online or a dating site hoping to foster a safe and friendly platform, the ODA can point out the way and drive people toward success. Its experienced and reliable advice covers everything from blocking scammers to protecting private information. The ODA combines decades of industry experience to guide professional dating services on the most effective ways to operate. Furthermore, the organization researches the dating sector to provide up-to-date commercial insights on hot topics in the business, including data protections, mobile products, and new legislation. 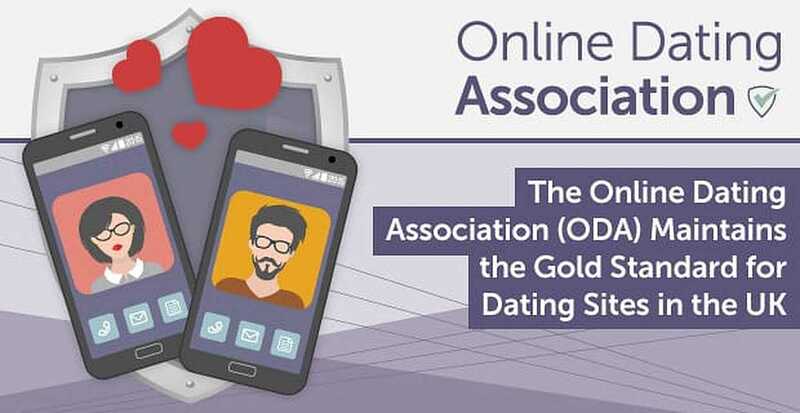 Since its foundation, the ODA has sought to represent a broader base of dating websites and actively recruits new members who support the ideals and standards of the organization. As the ODA looks to grow its influence beyond the UK, the ultimate goal is to encourage dating services to set policies based on honesty, efficiency, and integrity. With every new member, the ODA raises the caliber of dating services provided to singles. Advocating for industry-wide ethical standards, the ODA networks with prominent voices in the dating industry and also keeps tabs on trends in finance, retail, and technology that could affect online dating in the long run. The Online Dating Association fosters greater consumer confidence by standing for transparent policies and guidelines. When the ODA logo appears on a dating site, it means that platform provides a trustworthy, authentic, and safe place to meet people online. By pioneering an ethical code of conduct for dating services, this visionary organization has helped the online dating industry grow in a mature and credible way. Members that commit to the official Code of Practice endorse policies that support a healthy, secure, and friendly online atmosphere for singles. Since 2013, the Online Dating Association has promoted high moral standards for dating websites old and new, big and small, in the UK and abroad.